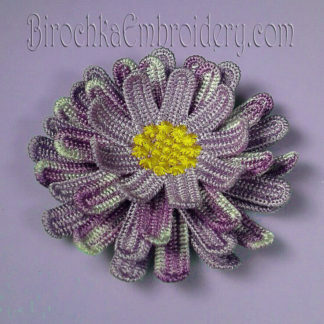 Free Standing Lace is a type of machine embroidery that produces a stand-alone design made entirely of thread. 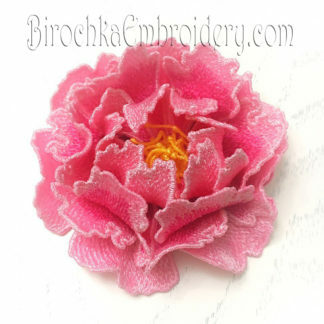 Your embroidery sewing machine uses a digitized file to render a beautiful free-standing piece of embroidery. 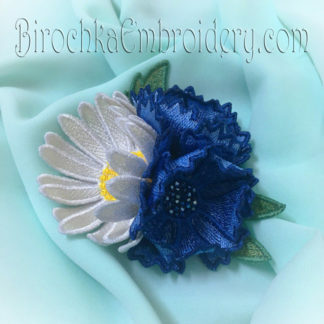 With FSL, there is no base fabric onto which the pattern is stitched. 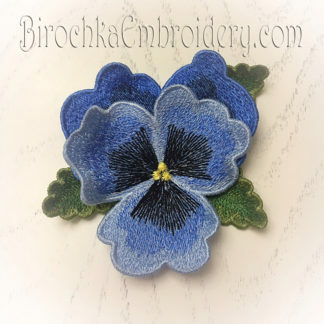 Instead, a water soluble stabilizer is used as the base while sewing and is rinsed away when the embroidery is ready, leaving an exquisite patterned piece of lace. 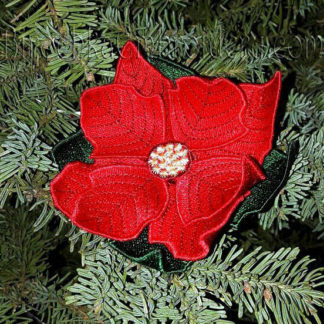 The finished work can be used to decorate a variety of items from throw pillows and tablecloths to bags and even clothing. 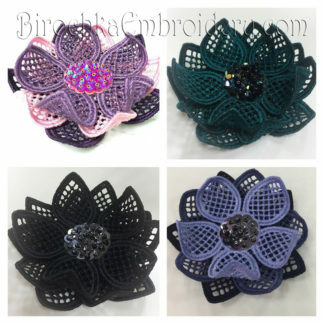 Free Standing Lace can also be used to make jewelry and hair accessories. Add soft, feminine charm to your outfits with free standing lace! 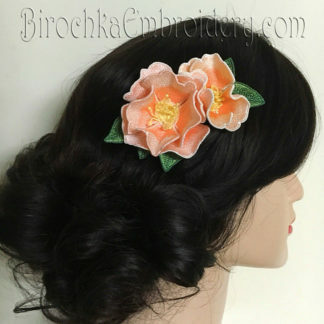 A unique and versatile accessory, Flowers FSL will look stylish worn as a hair pin, brooch, or bag charm. 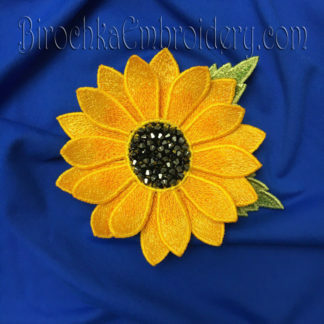 You can also decorate your clothing with flowers FSL! 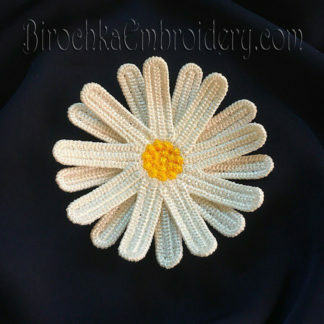 Pin or sew onto your favourite jacket or jeans! 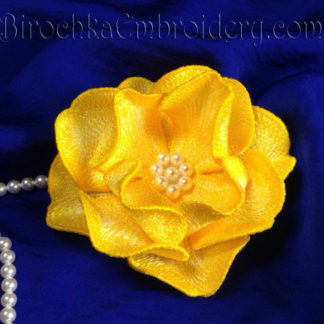 Use FLS to create elegant jewelry and accessories and to add finishing touches to handmade and upcycled clothing! 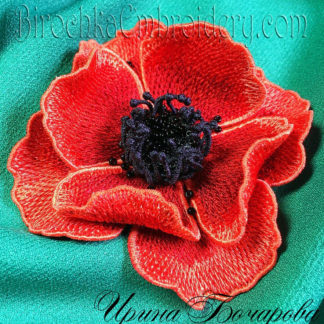 The best works of my customers: Brooches insects FSL. The best works of my customers. 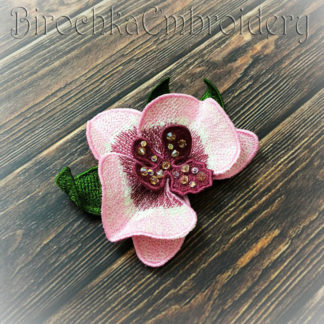 Machine Embroidery Designs Hydrangea with 3D elements and Hydrangea Brooch FSL.